Andry Stutzman is making Hesston men’s fashion look effortless in a charcoal blazer, khaki dress pants, chocolate loafers, a baby blue tie and textured blue button up. 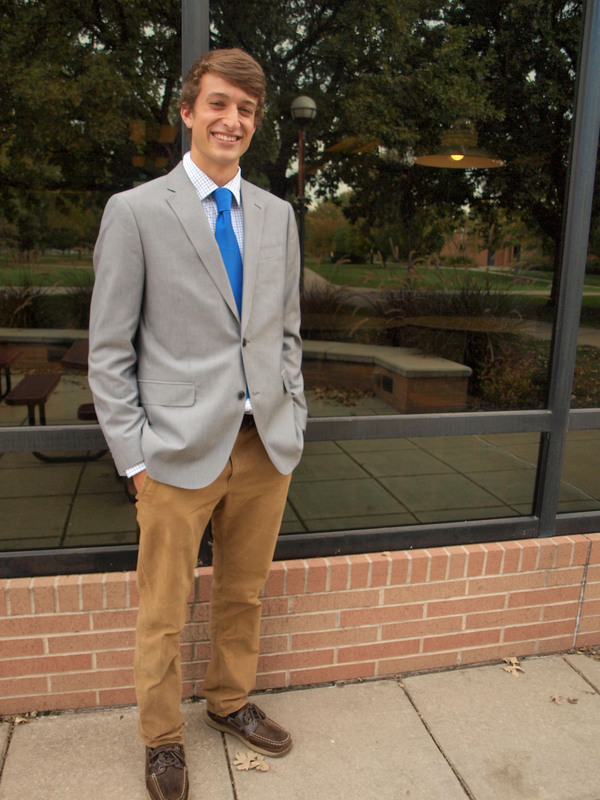 Whether dressing for a concert or heading to class, Stutzman knows how to look good with minimum effort. A colorful array of socks and tasteful collection of dress shirts gives this student an A+ for being unique and well dressed. Thanks for sharing with the Style Watch this week, Andry. Why is this outfit one of your favorites? What do you think that your style says about your personality? Favorite Piece of Clothing or Accessory and Why? Where is one place that everyone should shop?